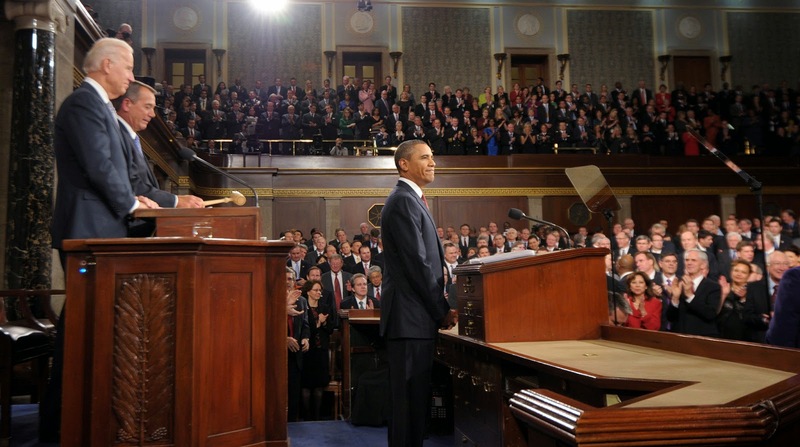 President Barack Obama giving the State of the Union address to members of Congress and the Supreme Court. Even if you've never studied American politics before, chances are you know quite a bit about it already. The President of the United States is one of the most famous people in the world (no matter who he - or she - is). The President leads the US, but he doesn't get to do whatever he wants. The US Government is also made up of the two houses of Congress (the Senate and the House of Representatives) and the Supreme Court, the most powerful court in the US. This section of The United States and the World introduces you to the American style of government, the one which is said to be "of the people, by the people, for the people." In particular you'll look at the nine Presidents who served between the years 1945 and 1989, and track not just how each of these men performed their duties, but how they each managed to change the role of the President in their own way. Democrats and Republicans: Who are they? What are the differences between them? The difference between federal government and states' government. The role of the Supreme Court. The roles of the Senate and the House of Representatives. The Roles of the President. How the roles of the President have changed: You'll look at each President and their actions over the course of the module, but it's good to start off here by learning their names, dates and the events and programmes that are associated with them. In particular in this section you should focus on each President's relationship with Congress. 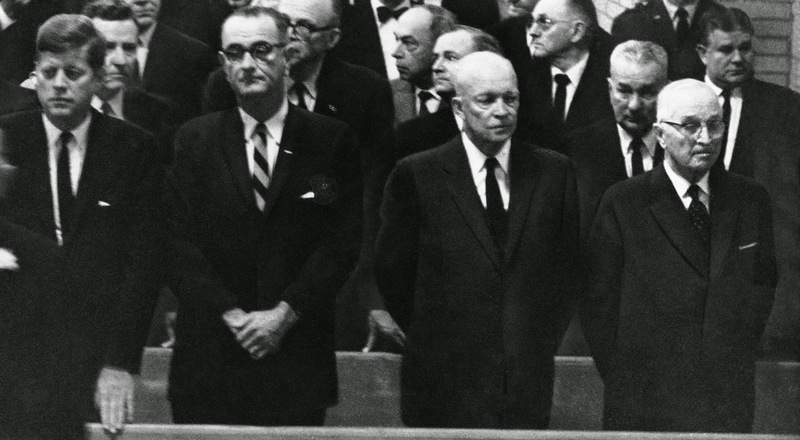 Limiting the roles of the President: Ford, Carter. 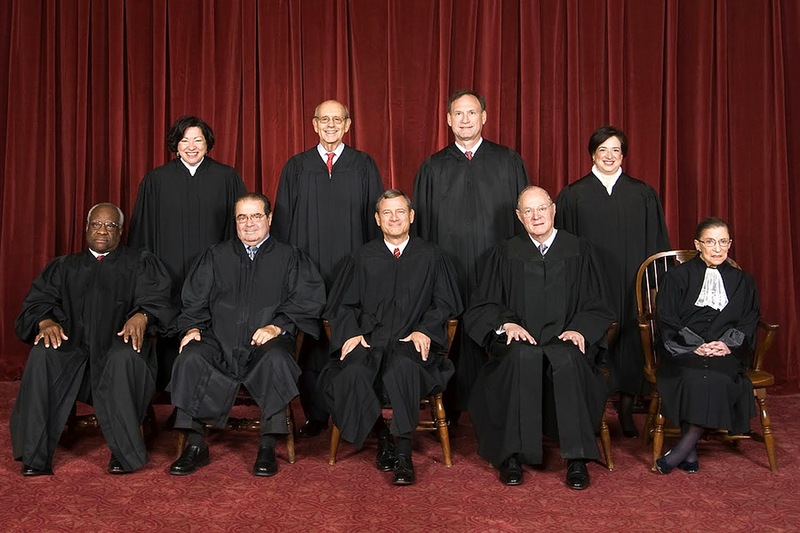 The current Justices of the US Supreme Court. In later sections you'll find questions asking you to write about specific Presidents. As well as using the information from the sections they belong in (US Foreign Policy 1945-68 and the Vietnam War case study for Johnson for example), use the information you learn here as well. 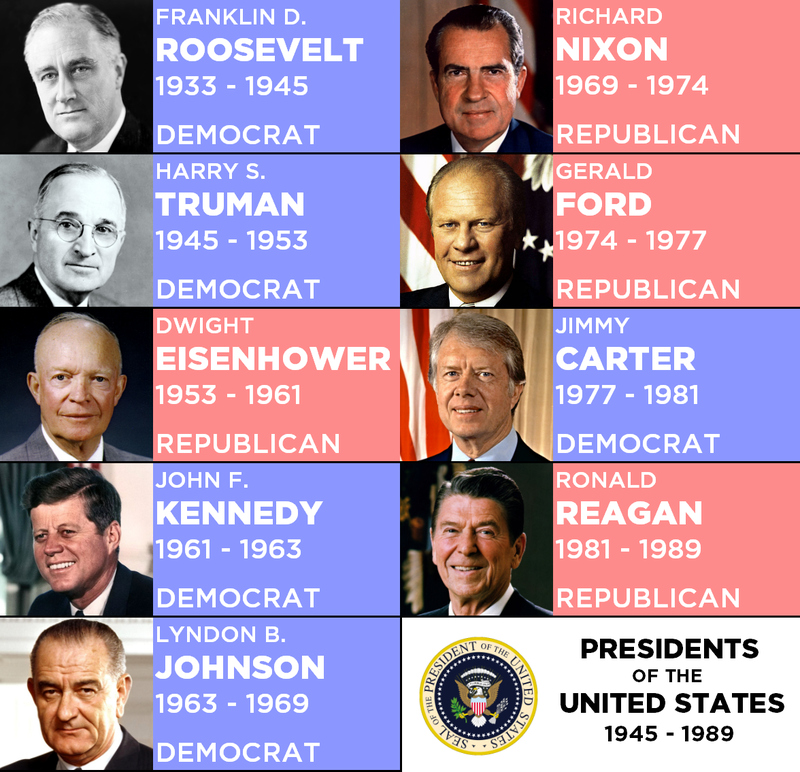 2011: How did the US Presidency develop from Roosevelt to Reagan? This is the only exam question so far to concern this section of the course. 2015 and 2016 might see more questions! 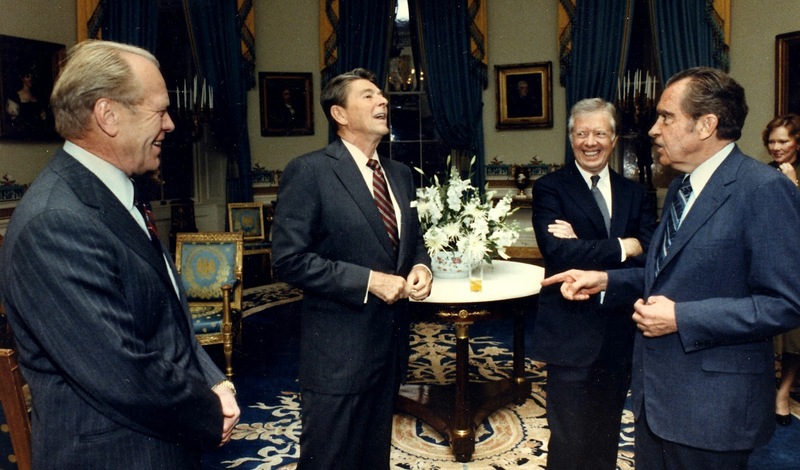 Gerald Ford (President 1974-77), Ronald Reagan (1981-89), Jimmy Carter (1977-81) and Richard Nixon (1969-74) meeting in the White House in 1981. George W. Bush (2001-9), Bill Clinton (1993-2001) and Jimmy Carter (1977-81). Of the nine Presidents that you will study in this course, Carter is the only one still alive in 2014. 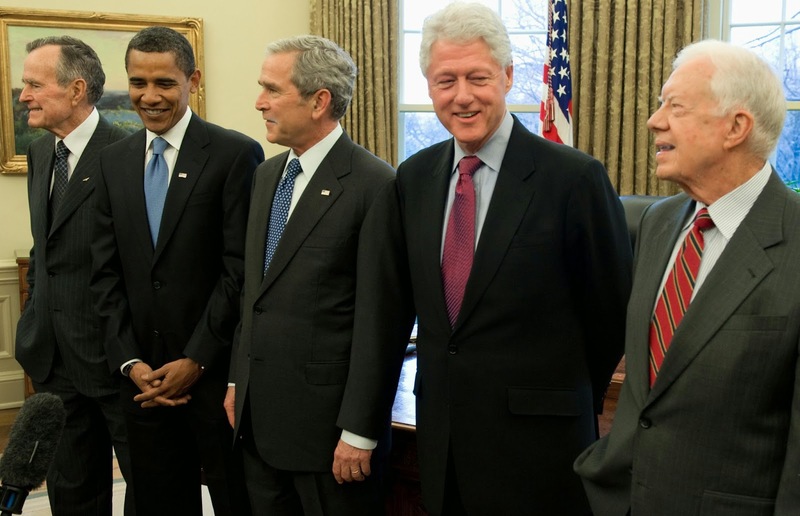 Obama, Clinton and the two Bushes aren't on the History course (yet).